Reddit users are reporting that Valve has placed new restrictions on gifted Steam games that prevent them from being played outside of the country in which they were redeemed. 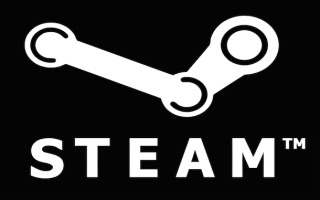 The restrictions are retroactive to December 2014, according to the reports, when Valve imposed limits on Steam gifting between regions. Those restrictions were put into place to keep users from taking advantage of localized pricing by purchasing games in regions where they're especially cheap—Russia, say—and then transferring them to accounts based on regions where they cost a great deal more. But now they've been extended to cover not only where games may be activated, but where they may be played. This is actually covered by the Steam support site, which says users attempting to redeem a region-restricted gift will be presented with a message warning that the game can only be activated in certain countries. But that message then it goes on to say, "In addition, if you decide to redeem this restricted gift, you can only play it within the countries listed above. Note that using an IP proxy or other methods to disguise the place of your residence to activate this gift is a violation of the Steam Subscriber Agreement and may result in restrictions on this Steam account." A Reddit user in a separate thread claimed that this was actually part of the gifting restrictions put in place last year, but others say that the application of the lock past the initial activation is new. Another user purchased Faerie Solitaire to test the system, and came to the same conclusion. "I live in SEA, no VPN or other nonsense, just straight up buying from the store. Got the same play-lock warning," Kittiv wrote. "So, it seems like if you live in one of the cheap regions as declared by Valve, and decide to go on a holiday or move to another country, say goodbye to playing your games." The restrictions may also apply to more than just gifts: A user who purchased Skyrim while he was living in Ukraine found that it wouldn't run when he moved back to the US; ironically, he couldn't re-buy it until he contacted Steam support and had the original key deleted from his account. It's not the kind of restriction that's going to affect a lot of people, but those who are affected are completely out of luck: The support page also warns that "Steam Support is unable to modify or remove any region restrictions." We've reached out to Valve for clarification and will update if and when we received a reply.